Before botanical ingredients were fashionable Clarins found the plant world to be an endless source of inspiration. By purifying and enhancing natural ingredients Clarins is able to offer a truly effective and innovative product range including sun care, make up, face and body care, fragrance and Clarins for men, as well as a unique organic range. Each is tested rigorously to ensure its efficacy and a truly seductive texture and fragrance that looks and feels great on the skin. All of our beauty therapists and receptionists are highly trained in Clarins Products and can give you any advice and support you need. We often have special gifts with 2 or more purchase’s running at The Belmore Centre. We also offer an exclusive salon only “Clarins for me” scheme. 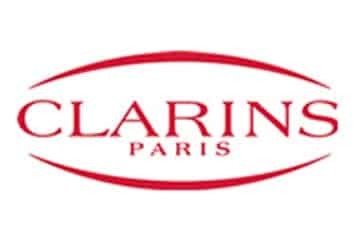 Where you collect up special “Clarins stamps” and you receive 20% back on your purchases. This is exclusive to the Belmore Centre. Please ask at reception for more information.